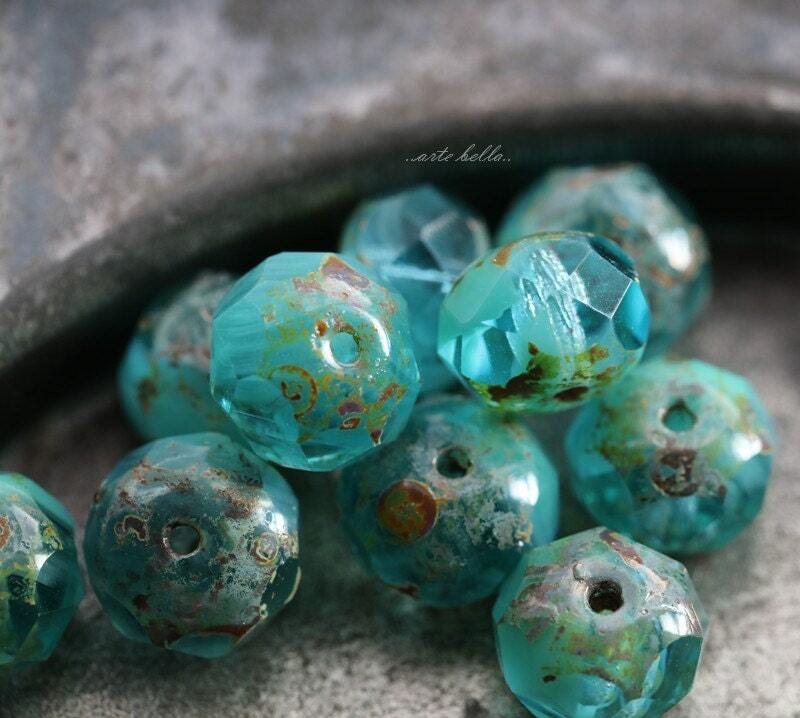 Translucent and opaque aqua blue mixed glass with an earthy Picasso finish. 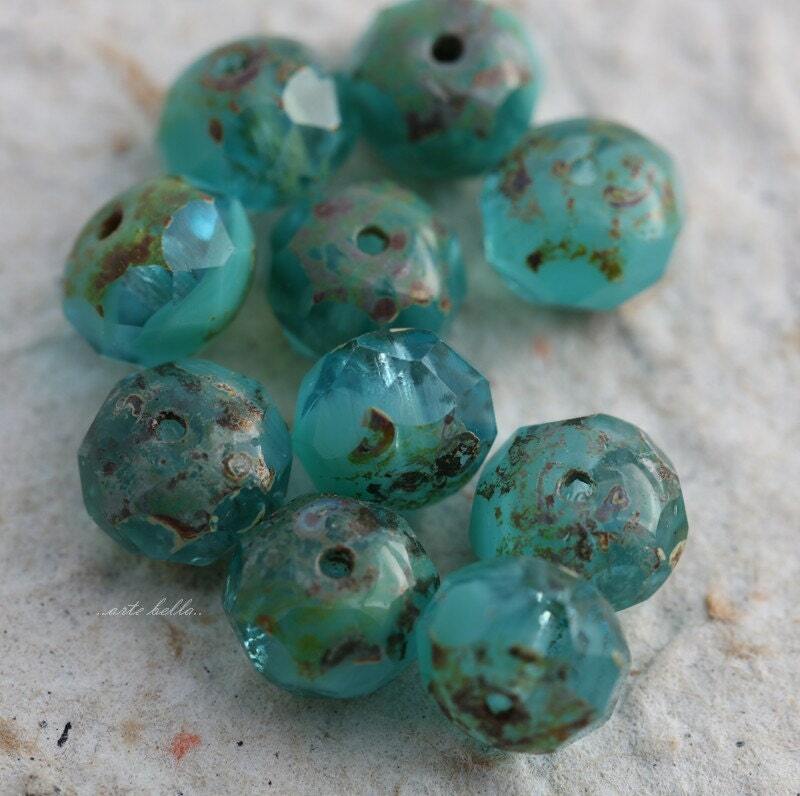 Love the coloring of these beads will use them in my designs. 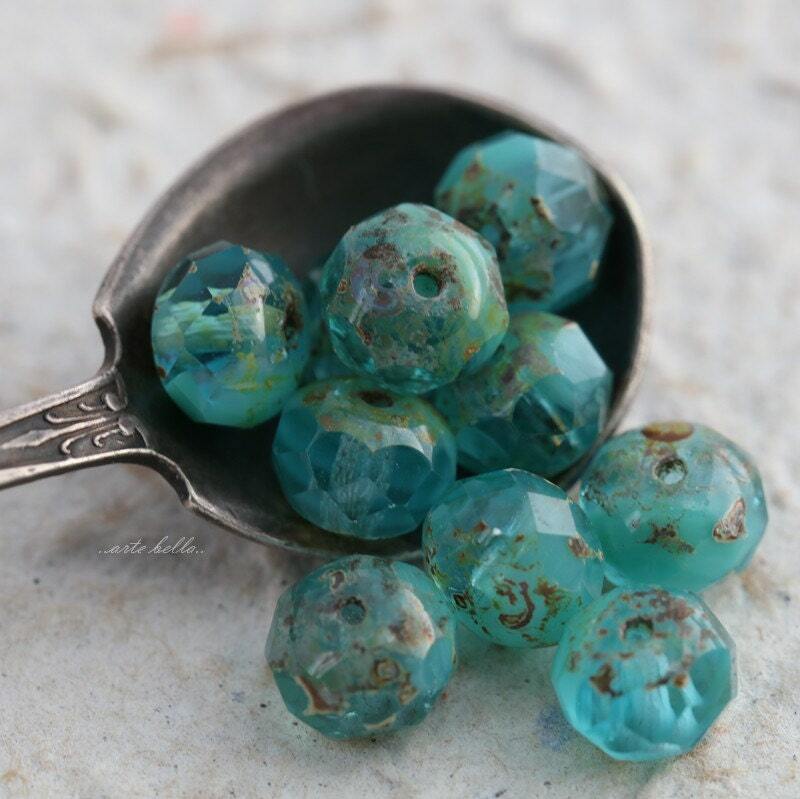 Just beautiful beads, making jewelry with these. 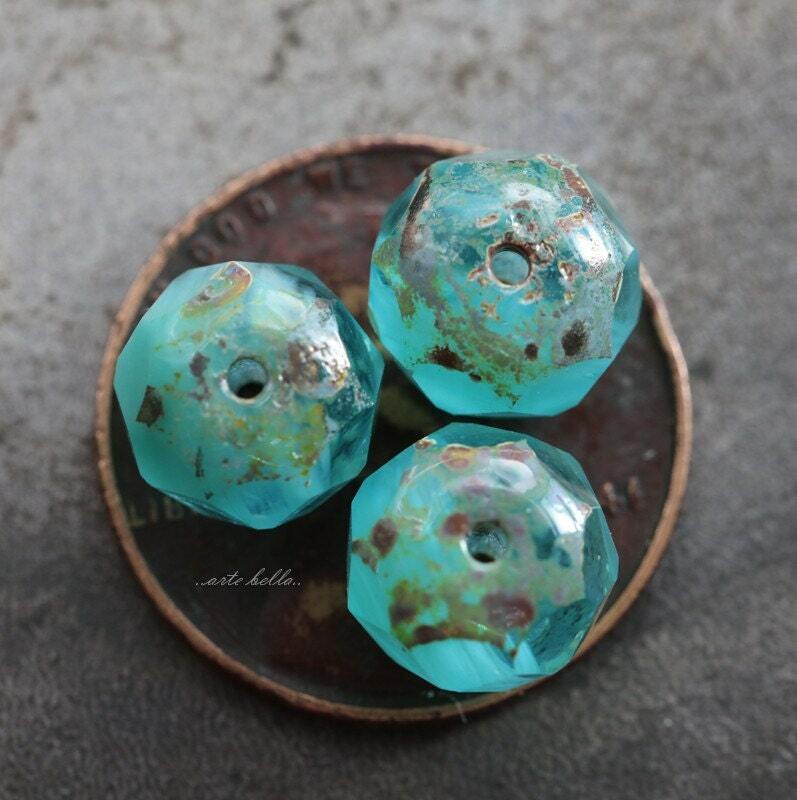 These little beads are so pretty, thanks. 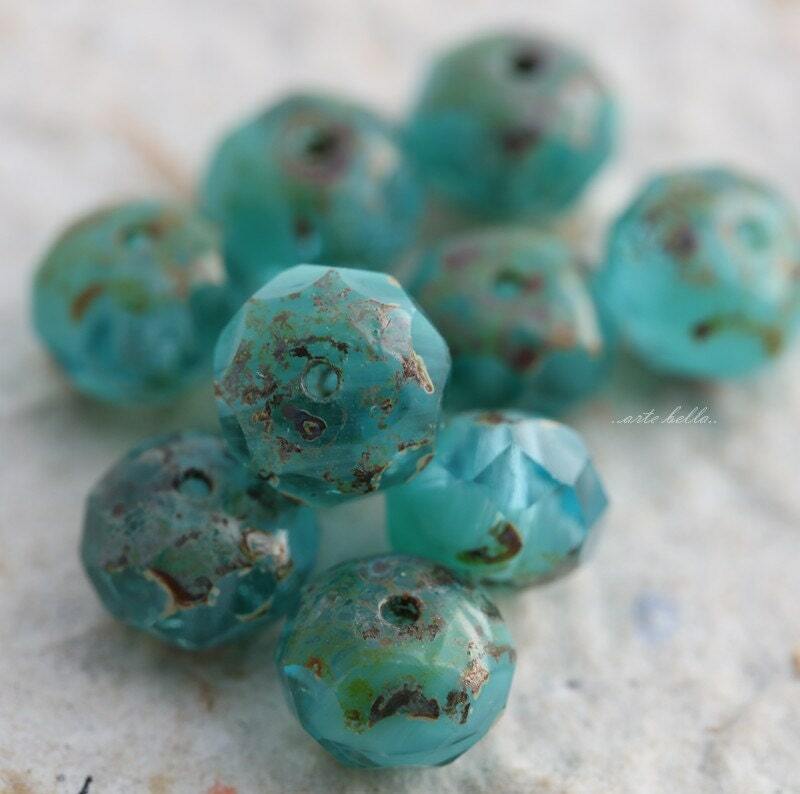 Beautiful color on the rondelle beads! Packaged with care & quick delivery! Thank you Karen!